Tibbalds CampbellReith JV was commissioned in January 2018 to provide a wide range of services for the redevelopment of the former Whittingham Hospital in Preston. Services within our instruction include town planning, masterplanning, viability assessment and ground investigation, with the overriding aim of securing new high quality residential development on the site as quickly as possible. Whittingham Hospital is a former psychiatric establishment, located approximately 5 miles northeast of Preston. 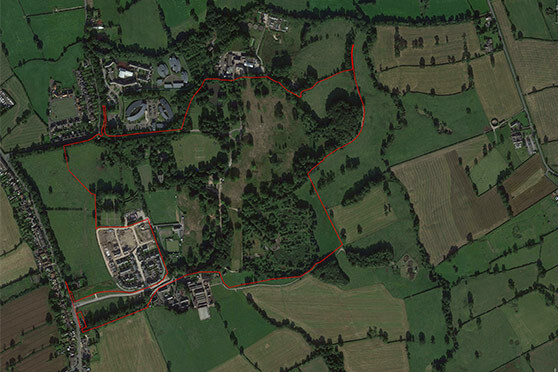 The site was acquired by the HCA as part of a portfolio of assets under the Hospital Sites Programme in 2005. It extends to approximately 60 hectares and adjoins the village of Goosnargh. The site has not been in operational use for many years and redevelopment had stalled as a result of market conditions changing over time, planning issues and infrastructure constraints. Our team is currently developing a new revised planning and disposal strategy for the site, which will involve revised masterplanning, re-phasing, ground investigations and also advanced provision of infrastructure; including structural landscaping, a new access/spine road, a new foul sewage solution and potentially a new build sports/ social club. It is intended that the new strategy is more comprehensive and interventionist than previously envisaged, responding to the viability and deliverability issues faced by the site in its current state.